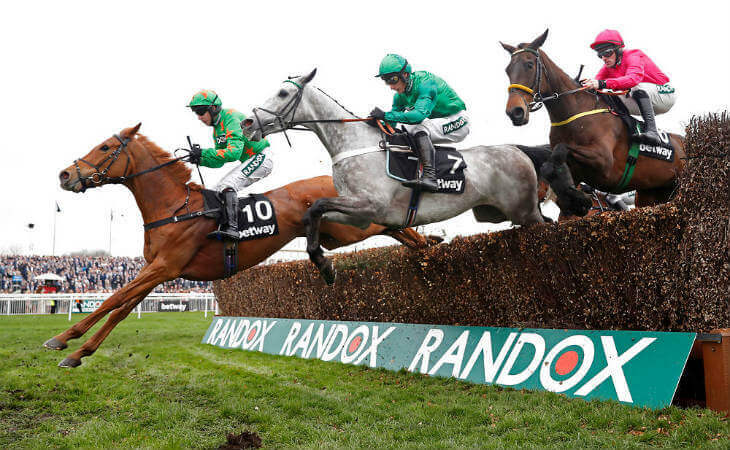 As we gear-up for one of the biggest weeks on the horse racing calendarm punters, trainers and jockeys will all have one eye on the Grand National weather conditions. As of Tuesday 10th April – the going on the Grand National course eased slightly to soft (from soft, good to soft in places) but with a mixed forecast on the horizon, the Aintree ground staff are looking to be prepared for both more rain and sunshine in a tricky Grand National Weather pattern for punters. The track had a dry day on Sunday (8th April) but that was much-needed after having 13mm of rain during Saturday. More of the wet stuff is predicted as the week moves on too so looking for horses that act with a bit of cut in the ground looks a must for punters at this stage. Andrew Tulloch, clerk of the course at Aintree, said on Sunday: “We’ve been dry today but the National course has eased a touch after the rain yesterday. The Mildmay course has taken the rain really well and is good to soft, soft in places, and it’s soft, good to soft in places on the hurdles course.